After a 100k "finish" and a full night of sleep after Javelina 100 my wife and I had the opportunity to do a little sight seeing before our flight took off on Sunday. 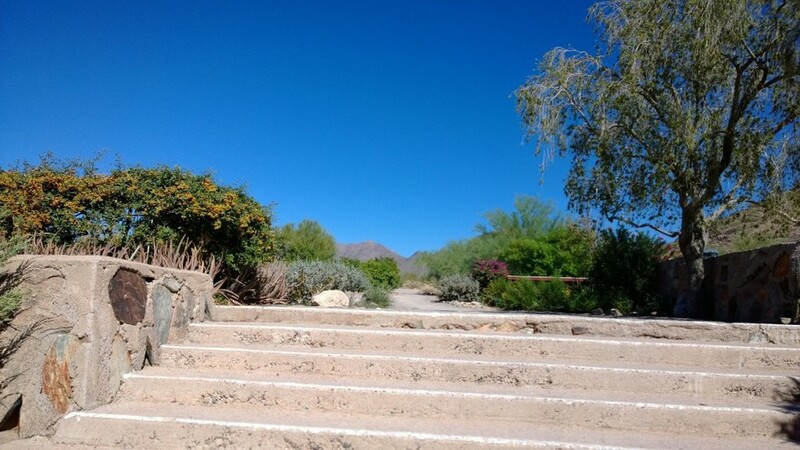 We discovered that a Frank Lloyd Wright's Taliesin West http://www.franklloydwright.org/about/TaliesinWestTours.html was not too far away so we headed over and took a tour. We're fans of his work after living in the area of Springfield, IL's Dana Thomas House growing up. http://www.dana-thomas.org/. If you are out in the Phoenix area and like architecture go check this place out. Amazing buildings with some great desert scenery for a backdrop.